The entire African continent accounts for only 4% of global polluting emissions. Despite this, more than 50% of the population suffers the climatic consequences. Heat waves and air pollution do not affect homogeneously but have different effects on people's health according to location and socio-economic condition. 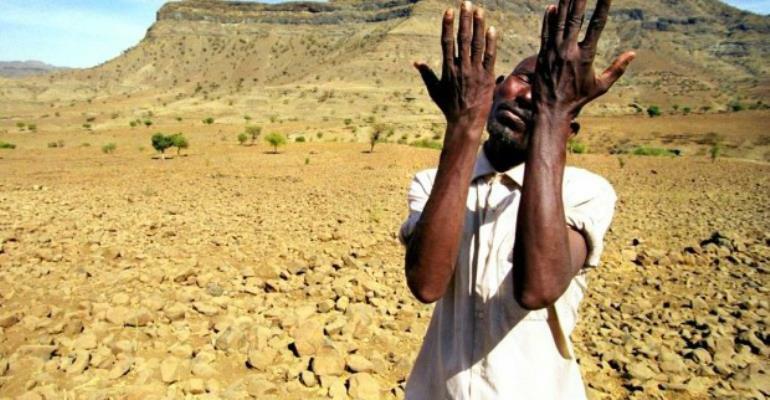 The most vulnerable to the risks associated with climate change are the poorest, the elderly and children. Not just in some developing countries, but also in Europe. This is shown by the latest report of the European Environment Agency Unequal exposure and unequal impacts: environmental causes continue to contribute to spreading serious diseases and causing premature deaths, especially in urban areas. The World Health Organization (WHO) has calculated that 5.4 million children died in 2017 who were not yet five years old. That is approximately about 15 thousand a day. The greatest risks are linked to malnutrition and diseases related to poor access to drinking water. Climate change is already increasing the frequency of heat waves, periods of drought, extreme weather phenomena, and floods. Each of these phenomena, worsening environmental conditions in certain places, can increase the number of diseases and deaths related to malnutrition, water availability and air quality. Cities contribute significantly to air pollution. They consume around 75% of global energy and emit between 50 and 60% of total greenhouse gases worldwide. This figure reaches around 80% if the emissions generated by city dwellers are included. In Europe, the main sources of pollution are traffic and, in winter, domestic heating. These two sources emit fine and ultra-fine dust capable of penetrating the respiratory tract (PM10, PM2.5, PM0.1) and polluting gases such as nitrogen dioxide (NO 2 ). Because of their physical vulnerability, children are more susceptible to the harmful effects of environmental pollution. Today the regions of the world most affected by air pollution are Southeast Asia and Africa. India has a record of around 91,000 children's death a year, followed by Nigeria, which has more than 70,000. And according to the WHO, 93% of young people under the age of 15, including 630 million under the age of 5, breathe polluted air every day. In the poorest regions of the world, the number of deaths caused by pollution is higher than in the richer regions. But socioeconomic status is a factor that determines the quality of health even within the same region. In Africa urban pollution causes 28% of the deaths of poor children under the age of 5 and 17% of deaths among children living in middle and high-income families. Proportions not very different from those in Europe, where 20% of children in the low-income bracket and 12% of the richest die. The highest number of victims depends on the quality of the air inside the houses. Domestic pollution is a very serious problem in those countries where large quantities of polluting sources are still used for heating and cooking. The most affected is the population in difficulty: 53% of poor children in Africa compared to 9% of the rich. In the West, pollution mortality is generally lower, but scientific research is studying and obtaining the first results that show how exposure to environmental pollution can have numerous effects on health. People living in urban areas are often more exposed to air pollution. Compared to adults, children breathe more air, drink more water and eat more food in proportion to their body weight. If these are polluted, the risks to children's health increase.